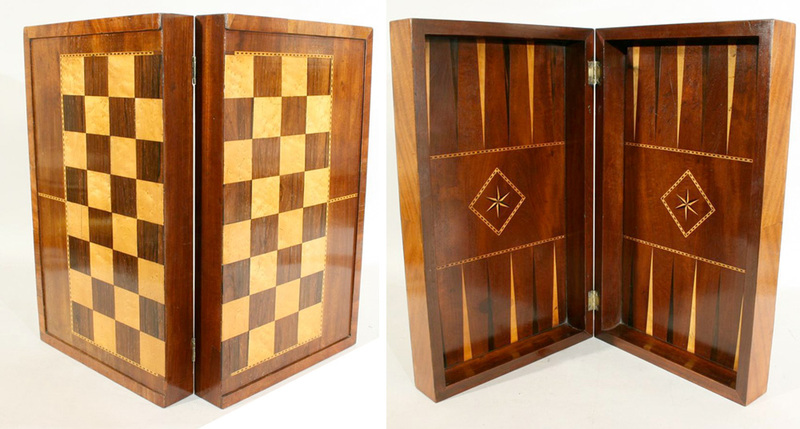 VINTAGE CHESS/BACKGAMMON BOARD. A large folding games box. 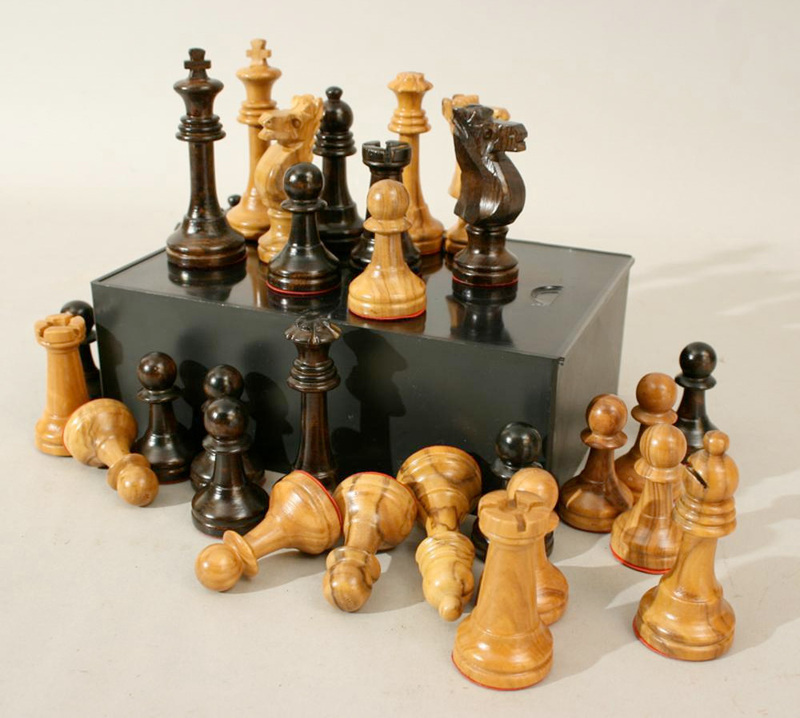 Draughts or Chess can be played on the outer surface of the box and when opened a Backgammon board is revealed. 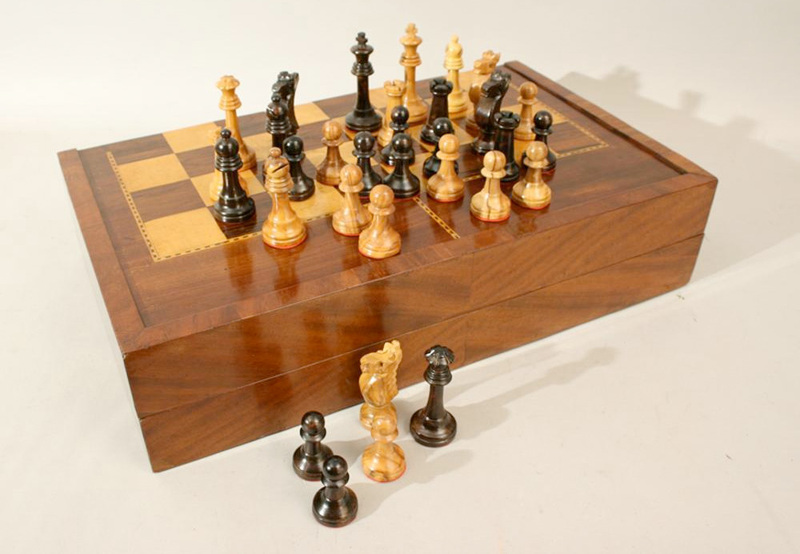 The box is made from mahogany with maple and rosewood inlay. It comes with a set of new chess figures but no backgammon or draughts pieces.